Accelerated benefits, also known as “living benefits,” are life insurance policy proceeds paid to the policyholder before he or she dies. The benefits may be provided in the policies themselves, but more often they are added by riders or attachments to new or existing policies. The accelerated benefits option or rider in a life insurance policy provides that all or a portion of the policy’s proceeds will be paid to the insured upon the occurrence of specified events. These include such things as the diagnosis of a terminal illness, the need for long-term care or the onset of a medically incapacitating condition such as a heart attack, stroke or cancer treatment. The life insurance company will deduct the accelerated benefits payment from the death benefit it ultimately pays to the beneficiary. How Are The Benefits Paid For? Some insurers add accelerated benefits to life insurance policies for a small additional premium, usually computed as a percentage of the base premium. A growing number of companies, however, offer these benefits at no additional premium, but charge the policyholder for the option only if and when it is used. In most cases, the company will reduce the benefits advanced to the policyholder before death to compensate it for the interest it will lose on its early payout. In addition, there may also be a nominal service charge. What Kinds Of Policies Have Accelerated Benefits? These options are usually added to universal life insurance policies or other permanent life insurance policies. Some insurers are beginning to offer them with term life insurance policies as well. Accelerated benefit options are usually offered when you purchase a new life insurance policy, but some insurers will also add them to existing policies. Currently, more than 150 companies offer some type of accelerated benefits. Only a few, however, are currently providing the full range of living benefits for critical illness, chronic illness and terminal illness. More than 3 million Americans are now protected by accelerated benefits. Under What Circumstances Could A Policyholder Collect These Early Payments? Terminal illness, with death expected within a specified period, usually six months to one year. The occurrence of a specified serious illness such as heart attack, major stroke, certain types of cancer, kidney or liver failure. The need for long-term care due to an inability to perform a number of “activities of daily living,” such as bathing, dressing, eating etc. How Much Of The Face Value Of A Policy Can Be Collected Early, And How Is It Paid? Companies offer anywhere from 25 to 100 percent of the death benefit as early payment. The amount varies according to the type of policy and company. Sometimes, payments are made in monthly installments, at other times in a lump sum. Most policies allow the policyholder to choose the method of payment. Each policy or rider specifies the method available. What Should One Be Aware Of When Considering Such A Life Insurance Policy Or Rider? 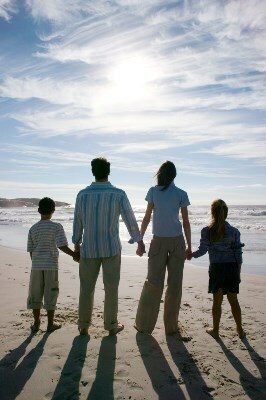 People usually buy life insurance to protect spouses and children in the event of their death. A policyholder must consider how electing accelerated benefits will affect his or her survivors, For instance, if the death benefit is used up entirely when an accelerated benefit is paid, there would be nothing left to be paid to the beneficiary. Accelerated benefits are one choice to be considered when providing for the expenses of long-term care or a catastrophic illness. But, they are not a form of health insurance, nor are they intended to replace the need for comprehensive health or long-term care insurance. The Internal Revenue Service is clarifying the tax status of accelerated benefits. You should direct any specific questions you have about taxes to your accountant or other tax adviser. Collecting accelerated benefits may affect eligibility for Medicaid. The Health Care Financing Administration of the U.S. Department of Health and Human Services has stated that policy holders cannot be forced to request or collect accelerated benefits before qualifying for Medicaid benefits. But once accelerated benefits are elected, those funds could be considered income that might affect eligibility for Medicaid.